Victor Vran feels like it was released before it was fully ready, but it’s still a worthwhile and fun experience. Here’s our review. It’s clear where Victor Vran’s developers drew their inspiration from. 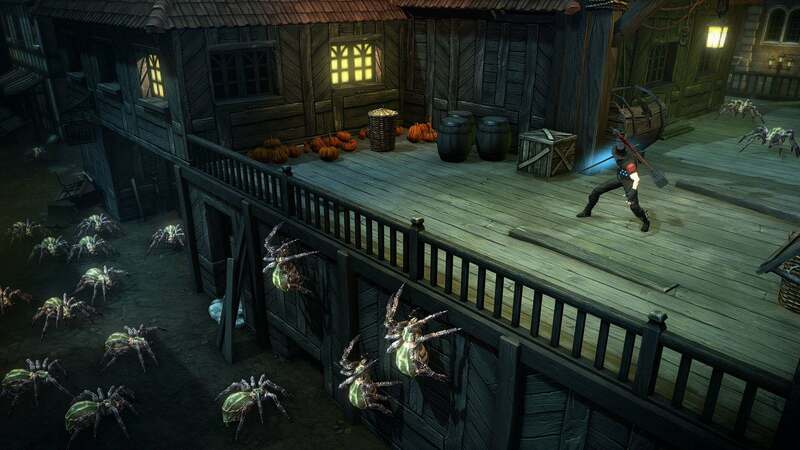 The game is a mix of Diablo’s action-oriented RPG style and a setting that resembles Van Helsing/Dracula, yet despite these familiar features it still feels fresh. This is partly due to the game’s strong focus on melee combat, but also because developer Haemimont put plenty of character into Victor Vran. You play the role of a demon hunter who sets out to rid an Eastern European city called Zagoravia from its undead creatures and spirits – uncovering the mystery of the disappearance of a friend who went missing after heading for the same city over a year ago. It sounds intriguing, but the plot itself is rather formulaic and takes a back seat to the gameplay itself – which centers on combat. Melee plays a strong role here and is well executed, but you also have a variety of magic and special attacks at your disposal. We’d be willing to say that Victor Vran’s combat is actually some of the best of its type in any action RPG – the game doesn’t feature a host of different gameplay styles like others in the genre do, but what’s here is well developed. The package as a whole feels like it came out of the oven a bit too early though. There are some strong basic elements here, but enemy variety and diversity in terms of content could both have been better. Additional DLC has been announced (for free! ), but we couldn’t help but feel this is probably stuff that was originally planned as being part of the launch version. Still – it’s good that these are issues that are being addressed, which can hopefully also be said of a few other minor issues we encountered. The game can be difficult to control, with a system that’s nowhere near as refined as that in, for instance, Diablo 3. A good example are the little pathfinding bugs, where Victor gets stuck when using mouse controls. The automatic camera system also isn’t flawless – it can leave objects in view that obstruct your view of the action, requiring you to manually direct the camera while in the middle of a fight. Luckily, these control and camera issues feel fixable – as do the glitches and crashes we encountered. Let’s hope those fixes arrive together with the DLC that was announced, because the game itself (despite its flaws) is fun to play. The core gameplay appeals to those who prefer the ‘action’ part in ‘action RPG’, and the game has a lot of character despite an underdeveloped story. The audiovisual atmosphere is great, and it’s clear that the developers were having a lot of fun with some of the pop culture references in the game. It’s too bad Victor Vran isn’t everything it could be upon its initial release, but it’s still a really fun game worth your attention – especially once the extra content and patches arrive.